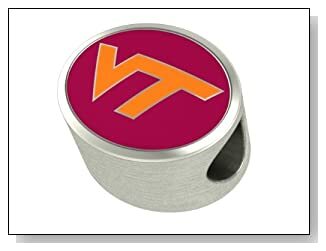 Here is the collection of Virginia Tech Pandora charms and beads for the Hokie fans to show their love. Whether you are walking into Lane stadium or anywhere you may have traveled, showing your support for the Virginia Tech Hokies is heritage. The fighting Gobblers have Pandora charms to represent. 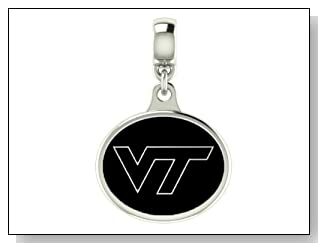 The perfect gift for the Hokie in your life. Virginia Tech Hokies Bead *Premium Series* Fits Most European Style Bracelets. In Stock for Fast Shipping. Virginia Tech Hokies VT Collegiate Drop Charm Fits Most European Style Bracelets Including Chamilia Zable Troll and More. High Quality Charm in Stock for Immediate Shipping. 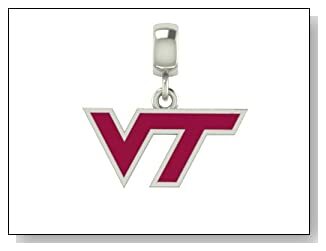 Virginia Tech Hokies Collegiate Drop Charm Fits Most Pandora Style Bracelets Including Chamilia Zable Troll and More. High Quality Charm in Stock for Immediate Shipping.